Fantasia Riad Hotel in Marrakech Morocco. Do not stay here. Not good service, too expensive. It is in the guidebooks so the managers do not have to worry about offering a good place to stay in order to get business. There are plenty of cheaper, better places just around the corner. The artistically painted doors of a riad hotel in Marrakech Morocco. The view of the tops of Moroccan homes in Marrakech, Morocco. The presence of satellite dishes on the rooftops of North African is common throughout the region. The inside of a good hotel in Marrakech, Morocco. I think I paid around $10 for a double room. Good, cheap hotels are all around Marrakech, you just have to walk in to them at random and ask the price. 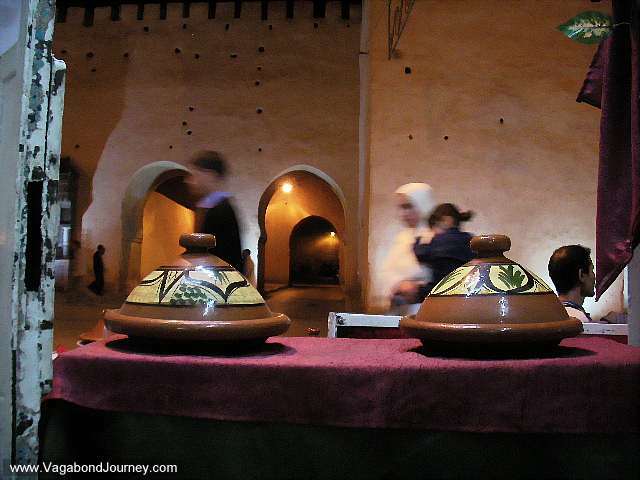 Tagine clay dishes at a restaurant in Meknes, Morocco. 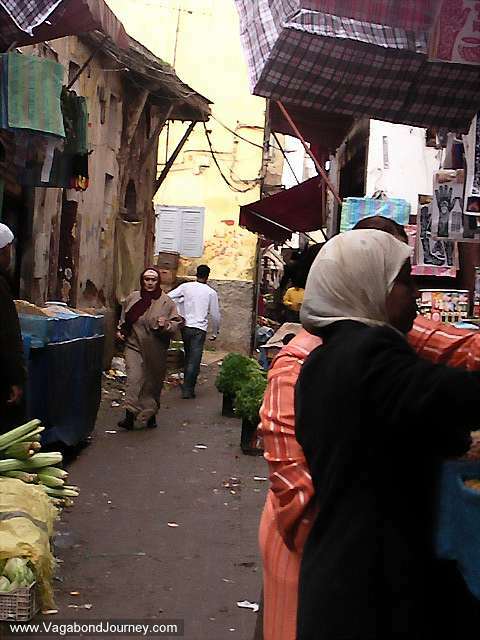 The wholesomeness of a Moroccan market in Casablanca. 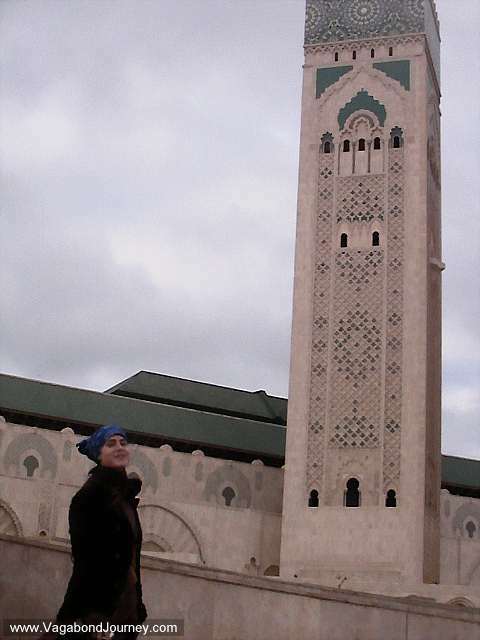 Mira standing in front of the largest minaret in the world. The Hassan II Mosque claims this title. An ancient mosque minaret in Rabat, Morocco. Dusk descending upon the public square of Meknes, Morocco. The alleys of Marrakech, Morocco.